Thanks for your kind comments. Rock'n'roll has always been big in Britain but never really doowop. I became interested in the early 70s, not through American Graffiti but a British film, That'll Be The Day, set in 50s England but the same rites of passage stuff. The soundtrack had some doowop - Why Do Fools, etc - and I began collecting 50s stuff by trial and error. But now, with Tower Records in London and Ace Records (roughly equivalent to Rhino) there's lots of stuff. I absolutely agree with what you say about thinking and sharing. Listening to music is really a non-verbal thing - especially in doowop the lyrics are just a peg to hang those sounds that emanate from the heart - and it's impossible to convey that experience adequately. But trying to do so can make the experience keener. Tower Records in the West End of London, along with all its Relic CDs which I stupidly didn't snap up, has gone. 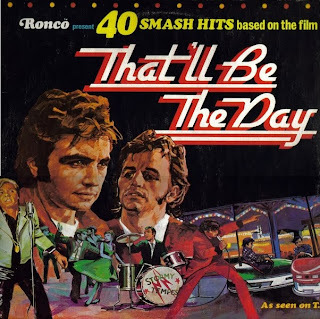 That'll Be The Day is a modest but very satisfying rites-of-passage movie with 70s pop star David Essex (who'd already scored in the stage musical Godspell) playing a 1950s teenager with a string of conquests but no sense of direction until music starts to give his life a purpose. He is careless of the feelings of others, so this is not a simple pop cash-in for the singer, and there are good actors around him (the exasperation and affection of mother Rosemary Leach is especially notable) and an excellent, well structured screenplay by Ray Connolly, where even small scenes - the action of a kindly policeman, for example, when Essex is drunk and lonely on his birthday - contribute to a coherent whole. Ringo Starr must have been taken with the script, too, as he plays Essex's buddy/mentor when they are both working at Butlin's. And a young Robert Lindsay is his schoolfriend, watching in horror as Essex chucks all his books into the river prior to an exam. 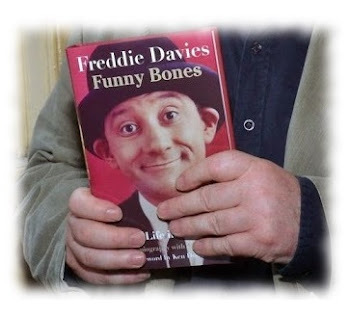 Lindsay later reappears in a truly fifties moment when he and his university chums are all listening to trad jazz, and the visiting Essex is made to feel left out; shades of the early Beatles having to pretend they were a jazz band to get gigs in Liverpool. The aimless Essex, for so long indifferent to his mother's concern, eventually makes a stab at being the dutiful son but it does not last long: he cannot resist sleeping with Lindsay's girlfriend (the last in his long line of conquests) immediately before he is due to marry his friend's sister, nor is he able to sustain the marriage for long. But his struggle throughout the film to make some kind of sense of his life, and way in which the answer - music - eventually comes into focus with an insistence which cannot be denied, keeps the character sympathetic, or at least understandable. And in case anyone misses the point, the film is bookended with the idea that he takes after his philandering father, unable to settle down to domesticity after the war. And the greyness (or, to judge from the decor of the family sitting room, the dark, suffocating browns) of a life of late fifties/early sixties conformity is well painted; taking over the family shop, or becoming like the smug Lindsay ("There's always night school," says his mother hopefully), convinces you that whatever is needed to feel fully alive cannot to be found in either of those options. There's a tiny scene using Bobby Darin's Dream Lover, for example, where the combination of the shot and the music really makes us feel his yearning for something else. The sequel, however, which follows "Jim McLaine" into stardom, is, for me, far less appealing, and Ringo jumped ship (what was effectively his role was taken by Adam Faith). The trouble with this film is that a rites-of-passage story has a universal appeal; following a troubled star's decline when he's surrounded by material wealth (especially when his music is pretentious and high-blown tosh about the role of Woman and Mother) doesn't stir the same sense of general recognition. So essentially my advice is: don't expect too much from the sequel. Although I admit that maybe that's partly because for me, personally, the earlier film is a very important one as it alerted me to the hitherto unknown delights of early rock'n'roll and doowop; the soundtrack is liberally spattered with classics of the day, greatly enhanced by the fact that many of them are playing in the perfect setting of a fairground. A footnote: as for the title of that first film, from a vague memory of reading Melody Maker when the film was just an idea, there had been an attempt to do a Buddy Holly biopic which was quashed for some reason - possibly I'm misremembering but they certainly didn't use, or weren't permitted to use, actual Holly recordings so the version of That'll Be The Day which plays over the closing credits is the Bobby Vee cover (with, I think, the Crickets backing him), and there is a scene where, reunited with his precious record player, Essex brandishes a Buddy Holly LP, saying "I've been waiting weeks to hear this," only for us to be treated to the strains of ... Richie Valens' Donna. But whether or not a biopic of Holly was originally intended, what emerged is a thoroughly worthwhile film which captures the sense of rootlessness which found an answer for many fifties teenagers in rock'n'roll.